Along with maintaining proper oral health, fitness is essential for people to improve their lifestyle. We here at Thunderbird Dental Group in Langley want our patients to get active by exercising or playing sports. However, when participating in contact sports, it is incredibly important to wear a mouth guard to protect your teeth and jaw bone. The U.S. Department of Health and Human services suggest people exercise one hour each day, engaging in moderate physical activities, for example: a brisk walk or playing sports. People should also spend 1 hour and 15 minutes doing high intensity exercise like going for a run or dancing. Staying in shape is vital for feeling great and looking great too. 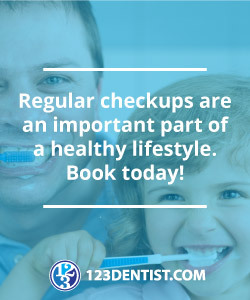 With daily exercise and a stunning smile from Thunderbird Dental Group in Langley, you will be able to make any of your lifestyle or work goals a reality. Stay safe while exercising with a custom mouthguard and make sure you are living the proper lifestyle with a healthy, beautiful smile so you can be the best version of yourself. Contact Thunderbird Dental Group in Langley if you have any questions or would like to book an appointment.